Leonard Sklar (winds) is a product of the New York jazz scene, where he was a student for many years of woodwind virtuoso Eddie Daniels. He studied jazz theory, arranging and performance at City College of New York with John Lewis of the Modern Jazz Quartet, as well as Lee Konitz and Jimmy Giuffre. He performed regularly with the jazz-fusion band Montage and is featured on the sound track to the film Pumping Iron II. Since relocating to the Bay Area Leonard has toured with the U.C. Berkeley "Wednesday" big band, under the direction of Dave LeFevre, and performed with Toshi Shibano and Cycles. 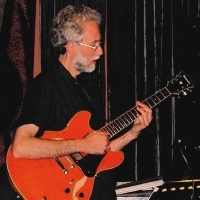 Ted Nirgiotis (guitar, bandleader) studied jazz theory and performance at the Diablo Valley College jazz program with veteran local musicians Rory Snyder and Mary Fettig, and has studied guitar at the Berkeley Jazz School with Mimi Fox and Danny Caron. He formed the Interplay Septet with alumni of both programs in 2004. More recently he was co-leader of the Brazilian oriented group Pangaea with Dean Jacobs on piano, and with bassist David Jeffrey and drummer Dai Chihara. Besides playing with Fortune Smiles, which he founded in 2007, Ted's other recent groups include Jazz Triad with guitarist Dennis Fortin and bassist Dan Krimm. He has had a strong interest in world music for over 30 years, and has studied sitar in India, gamelan in Java and a variety of traditional percussion styles. Gary Monheit (piano) played with Stanley Jordan and Dan Krimm in the group Mainstream and played and recorded with the Dan Krimm Ensemble. In Santa Barbara he played and recorded with the Nate Birkey Quintet. 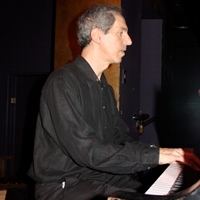 Gary taught Jazz Piano and Jazz Ensemble at the Peabody Preparatory in Baltimore. He was a dance accompanist for Elliot Feld, Alvin Ailey, Barnard College, and Princeton University. His compositions for dance and theatre have been performed in the U.S. and Europe. He has studied jazz with Hal Galper and Joanne Brackeen. 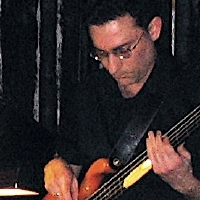 Dan Krimm (bass) has recorded two well-received albums of his own compositions. 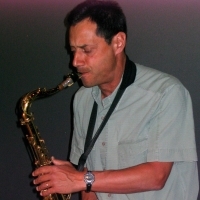 He received a National Endowment For The Arts jazz fellowship to work on the first, "Sentience" (MP3 download from CD Baby), which featured Vic Juris on guitar and Marty Fogel on sax. His second album "Subtle Truth" (MP3 download from CD Baby) featured Rolf Sturm on guitar. He played with Stanley Jordan, Gary Monheit and others while studying at Princeton and was active on the NYC scene, recording with jazz singer Arlette Beauchamps. In Los Angeles he performed regularly with post-bop guitarist Kim Reith, and performed and recorded with avant-garde drummer Rich West. 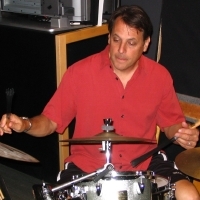 Matt Willis (drums) performs throughout the Bay Area with top musicians including world-renowned steel drum artist Jeff Narell, guitarist Ray Obeido, guitar/vocal duo The Rowan Brothers, and jazz composer/ bassist Kurt Ribak among many others. Past credits include Hawaiian artists such as Henry Kaleialoha Allen, Loyal Garner and Melveen Leed, American oldies acts such as the Shirelles, Drifters and Coasters.